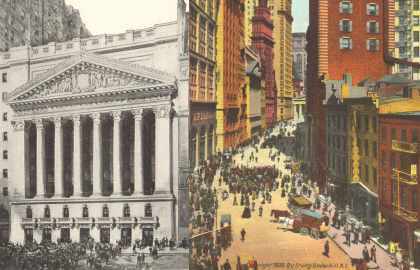 Although unrelated to Boston History, the primary theme of this web site, included here is a group of pages relating to the stock market. This author has compiled highlights of personal experiences in buying stocks, and thought it would be beneficial to others to publish this information now. Remember, the stock market is extremely risky. The following may be useful to potential first time investors (always seek professional financial and/or legal advice of course, this is not, and should not be considered financial and/or legal advice). First Mutual Fund in U.S.